Tyron Woodley will defend his UFC Welterweight Title against Stephen "Wonderboy" Thompson in a rematch in the main event of UFC 209. In November of last year in close fight, Woodley retained his title with a 5-round draw. Both men will be looking for a more-conclusive result on March 4. Woodley performed a lot better than some thought he would against a young rising star in Thompson who many thought was the heir-apparent to the 170-pound throne. He did most of the hurting in the fight, nearly finishing Thompson, who showed a lot of heart in rallying back to make it a close fight. Who will get the upper hand in UFC 209 in Woodley-Thompson 2? Woodley, 34, is a massive welterweight and it isn't easy for him to pare down to 170 pounds. He won the title with a first-round KO of champion Robbie Lawler in July 2016. His draw over Thompson was his first defense, a fight where Woodley was initially named a split-decision winner, before it was found the fight was actually a majority draw. Woodley seems to have developed a better understanding of himself as a fighter in recent years, despite some ups and downs in his UFC tenure. They say becoming a champion makes a fighter better and that seems to apply to Woodley. Many suspected his fight with Woodley would serve as a coronation for one of MMA's rising stars. Thompson is surprisingly already 34 and not the kid a lot perceive him to be. Seven straight wins, including impressive and eye-catching triumphs over Rory MacDonald and Johny Hendricks had a lot of people high on Wonderboy. It's not clear that they still shouldn't be. While he didn't deliver on winning the title, he showed a few sides of himself that should serve him well along with his abundant striking talent, including toughness, grit, and determination. Wonderboy is indeed a difficult proposition. He hops effortlessly in and out of range with that bizarre sideways stance where he suddenly lashes out with quick kicks that keep opponents guessing. While certainly talented, the draw in the first fight with Woodley also showed he has the required amount of toughness to thrive at this level. He was almost stopped on strikes and was somehow able to survive what looked to be a fight-ending guillotine choke from Woodley. Surviving a crazy fight like that could serve him well in this bout. The one issue I have with Thompson in this fight is while he can certainly make adjustments, the real painful work of the first fight was all done by Woodley. Thompson never really hurt Woodley in any kind of significant way. Then again, he walked through a lot of punishment from the champion and still never wilted, so maybe it's Woodley who should be worried. Then again, it was Thompson who was hanging on, cut, and looking like he might lose on several occasions. Woodley experienced none of that. Woodley was pretty clever in the first fight with Thompson. Knowing that Thompson prefers an aggressive opponent where he can let his counter-striking shine, Woodley held back and forced Thompson to push the issue at times. He has that great straight right hand that catches opponents by surprise with a lot of power behind it. The reigning champion is just a sturdier, more robust man who enters the octagon well north of 190 pounds. He's the bigger, more powerful man. People might give the nod to the challenger in terms of being able to make adjustments for the rematch. The reasoning goes that he now knows what it's like to be in a huge fight, while also knowing what Woodley brings to the table. But Woodley is also capable of making adjustments that could make the result better for him. He could take Thompson to the ground more after dominating him in the first round of their first fight, then mysteriously abandoning that approach. If Thompson is expecting the same tricky and reserved Woodley, the champion could switch to being more aggressive. He has options, as well. I see this as a problematic matchup for both men, but particularly Thompson. Woodley's combination of robustness, physical strength, size, durability, and intelligence makes it hard for Thompson to see the full scope of his talents shine. Thompson is obviously an immensely-talented fighter, but this is a sport that is less about individual assessments and all about the matchup component. And while it's not entirely-difficult to imagine Thompson outpointing Woodley with a sharper approach, I see Woodley offering tremendous value at a slight underdog price. 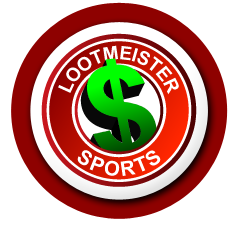 Loot's Pick to Win the Match: I'm betting on Tyron Woodley at +110. Khabib Nurmagomedov battles Tony Ferguson in a highly-anticipated lightweight bout between two of the better 155-pounders in the world. The bout will be contested for the interim UFC Lightweight Championship. And it certainly has the feel of a championship bout. Nurmagomedov, 28, is unbeaten in 24 fights, having run roughshod over 8 UFC opponents. If anyone deserves a shot at glory, it's him. Ferguson isn't far behind, a winner of 9 straight dating back nearly five years. It's really difficult to decide who is the more-deserving contender in this spot, with both men having racked up a long run of dominant performances. Ferguson, 32, beat former champ Rafael do Anjos in his last fight. The mauling Nurmagomedov, who also holds a win over dos Anjos, last fought in November, beating Michael Johnson with a 3rd-round kimura. While this is not for the real title, with Conor McGregor the legit champ, it should fast-track the winner of this bout into a shot at the Irish superstar or at least force McGregor's hand if he decides to luau in a different division or try his hand at boxing. For that reason, maybe there's a purpose for this being called an "interim UFC Lightweight Championship fight, even though McGregor was crowned just in November. With these two, it does have the feel of a world title fight—just by virtue of the caliber of the two fighters. Nurmagomedov is really one of more-irresistible forces in the world of MMA. His grappling is akin to a bear dragging down its prey. His strength is off-the-charts and there's something special about the way he employs his tactics—with utter dominance and clear-cut separation. He simply mauls people like rag dolls and he doesn't just do it to just anybody, as we see BJJ black belts like Rafael dos Anjos getting thrown around like they were nothing. His positioning, technique, and raw strength put him in a special category. For Ferguson backers, that doesn't mean their man is without hope. In Nurmagomedov's last fight against Michael Johnson, he was rocked by Johnson punches, before recovering and dominating his opponent. It was the first time we had seen an air of vulnerability with Khabib in the octagon since joining the UFC. And Johnson, while a good striker, has just a fraction of Ferguson's overall tools and danger-potential in the octagon. With "El Cucuy" being a tremendous wrestler, it will give more credence to his striking, which is of the fight-ending variety. For the purposes of this fight, it serves Ferguson well that he's gone through tough fights before, struggling to overcome top 155-pound contenders Rafael dos Anjos and Edson Barboza. While not as physically strong as Nurmagomedov, he's still the more dependable finisher. Whereas his opponent can drag opponents into the muck and keep them there, Ferguson can end fights in a flash. He can handle himself on the ground and is a superb wrestler, but will he be able to resist Nurmagomedov if they go to the ground? It's not as easy at it looks. Ferguson is sneaky-strong and overall just a very scary and hard guy. I am in no way dismissing Ferguson, but I feel the ground-game of Nurmagomedov is the most-compelling skill in this matchup by a long way. It's just so true and unstoppable that it can't be discounted. Ferguson could clip him or connect during a scramble, or do damage in any number of different ways. But at less-then 2-1 odds, I see Nurmagomedov being a decent value in this matchup. Loot's Prediction to Win the Fight: I'm betting on Khabib Nurmagomedov at -190.